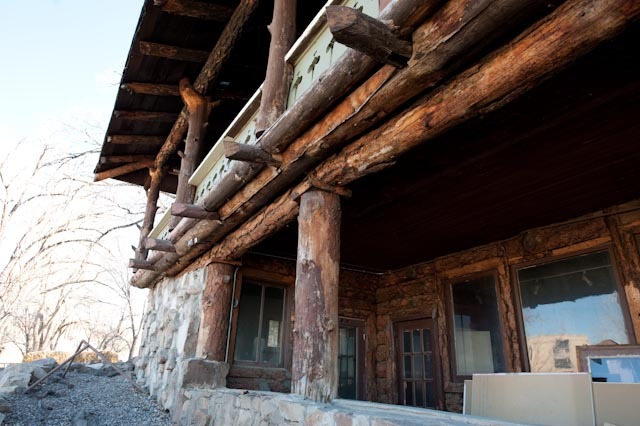 The horizontal logs that support the porch were inadequately secured. 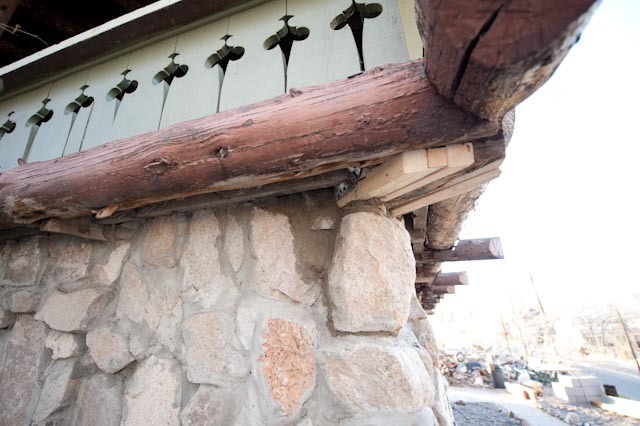 The posts that support the porch roof were inadequately supported. To fix these issues, we removed the ceiling of the lower back porch as well as the ceiling of the storage room in the NE corner of the basement. 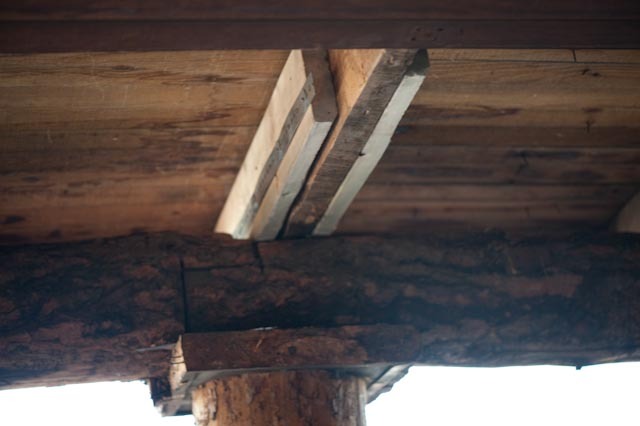 In this picture you see how a single 2X6 joist projects out (on top of log lower right) to support the horizontal log and the post above. 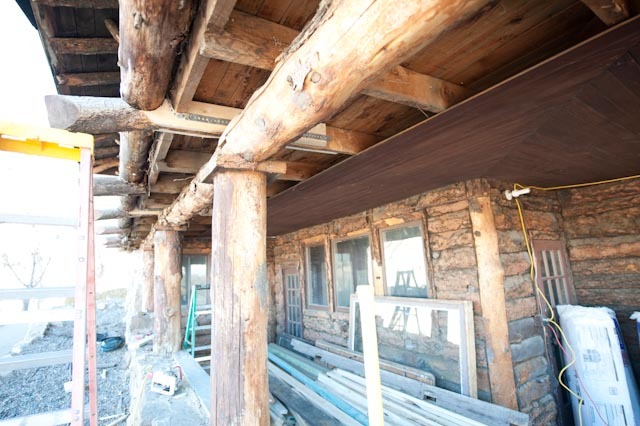 We added additional support to the sides of the joist that supports the roof posts as well as adding steel strapping that keeps the horizontal log (not shown here) from rolling. 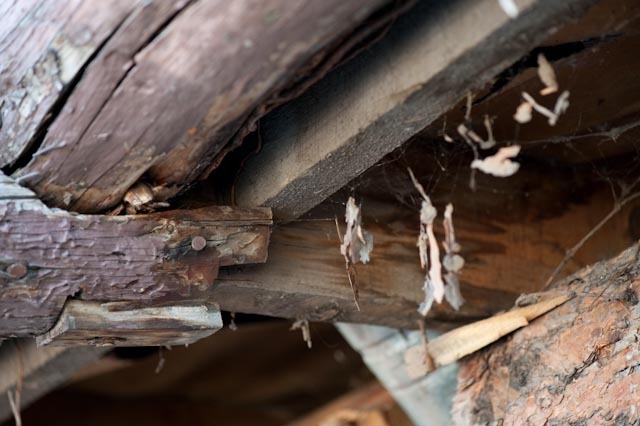 If you look closely, you can see the new supports added to the sides of the existing joist. We modified the decorative beam tail to allow for the additional support. 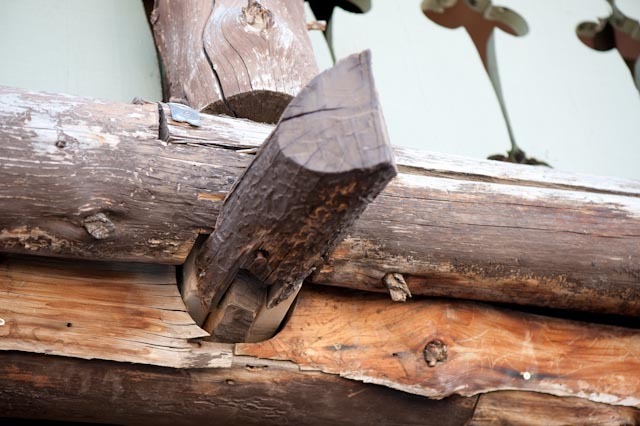 Adjacent to the vertical log post on the left you can see a small piece of the steel strap that ties the log back to the joists to keep it from rolling. We did the same sistering of the joists and strapping across the front of the building. 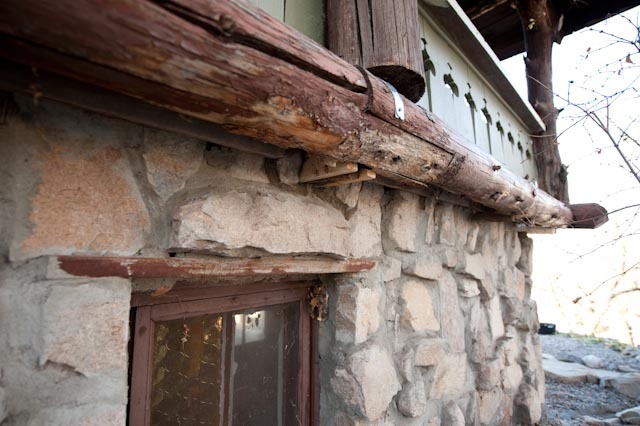 Some of the stonework was removed, cut, and re-installed to allow for the additional supports. The corner took quite a bit of additional framing work. And now, this project is in the books.